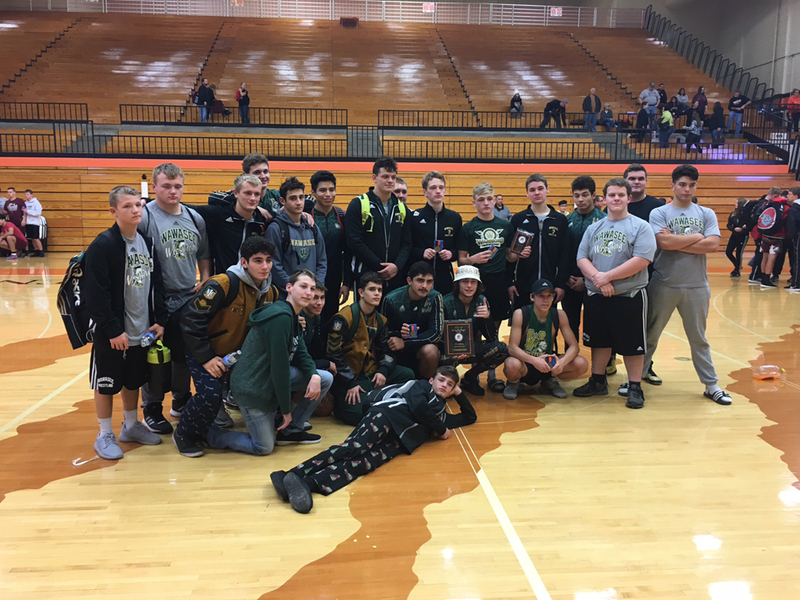 WARSAW – Looking for the chance to finally get out and see someone dressed in different colors, Wawasee’s wrestling team relished the opportunity. Going 5-0 at the Warsaw Tiger Wrestling Invite, the Warriors claimed the title and had plenty of individual success. Wawasee earned wins against Huntington North 46-21, Fort Wayne Northrop 62-14, Warsaw 66-6, St. Joe 65-9 and Calumet 54-24 to gather the team title. The win over Huntington was the only loss for the Vikings, which were runners-up. Warsaw was 1-4, beating St. Joe for its lone team win. Tournament MVP Braxton Alexander was 5-0 in the 132-pound weight class to highlight five undefeated Warriors, all weight class champions. Joining Alexander with unblemished days were Garrett Stuckman at 138, Isaiah Faroute at 145, Alex Castro at 182 and Elisha Tipping at 285. Going 4-1 for the Warriors were Jace Alexander at 106, Chris Schuller at 126, Logan Baugh at 152 and Raymond Torres at 160. “Today we came in with the sole focus of performing as well as we could, knowing the results would follow,” said Wawasee head coach Frank Bumgardner. “We put an emphasis on coming out in our first round strong and continuing to get stronger each round after. Today we have a different looking line-up than we will have at the end of the year, but every one of our kids who had an opportunity to wrestle today competed very hard and wrestled Warrior Tough. Warsaw didn’t have the team specs of their Northern Lakes Conference rivals, but had Grayson Drudge nearly pull off an unbeaten day. Drudge and Castro went to overtime of their dual, Castro getting a decision to edge Drudge. His four wins went pin, pin, decision and forfeit. Jose Grimmett at 145, Nico Luna at 152 and John Svinarich at 285 all earned three wins for the Tigers. “We’re pleased with the progress so far, and even though we took it on the chin today, a lot of our kids looked better each match,” said Warsaw head coach Kris Hueber. Both Wawasee and Warsaw will compete among the lot in the Wawasee November Duals next Saturday.